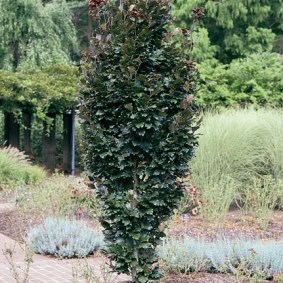 A low maintenance tree with deep reddish-purple leaves and silvery smooth bark. It features an compact, upright habit that provides vertical interest to the landscape. The serrated leaves turn coppery-bronze in the fall.